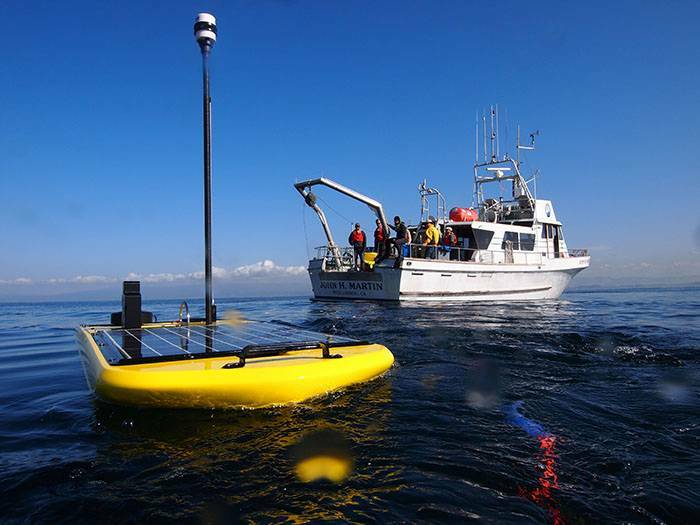 The Wave Glider is the first unmanned autonomous surface vehicle (ASV) to use wave energy for propulsion. 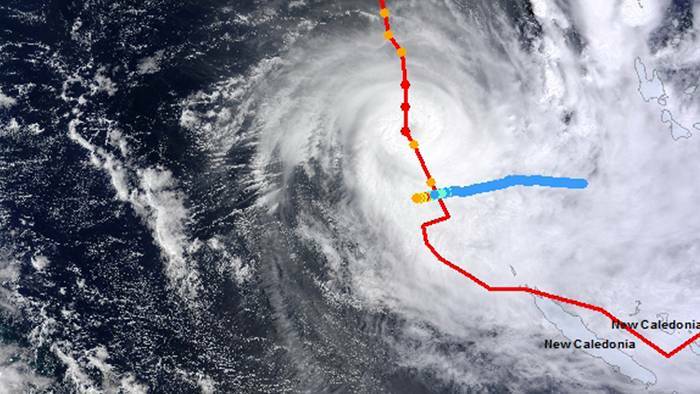 Its ability to stay out at sea gathering data for long periods of time, through all weather conditions, and communicate real-time data from the surface of the ocean, assures it has a wide array of uses both for academia and for the offshore industry. First introduced in 2009, Wave Gliders have since traveled more than 300,000 nautical miles, set a world record for longest distance traveled by an autonomous vehicle, and been deployed on more than 100 customer missions ranging from the Canary Islands and the UK in the Atlantic Ocean to Australia in the Pacific Ocean to the Arctic. The SV Series represents the next generation of Wave Glider technology and includes the Wave Glider SV2 and the Wave Glider SV3. 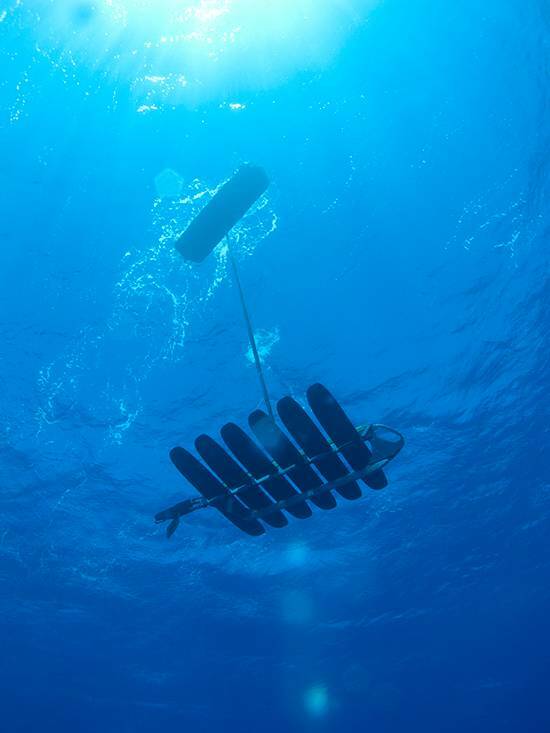 Because of their energy independence, Wave Gliders are able to persistently gather and communicate ocean data on a far broader scale and with greater data transmission speed than ever before. Added to this is the positive fact that its operation costs a fraction of traditional solutions. 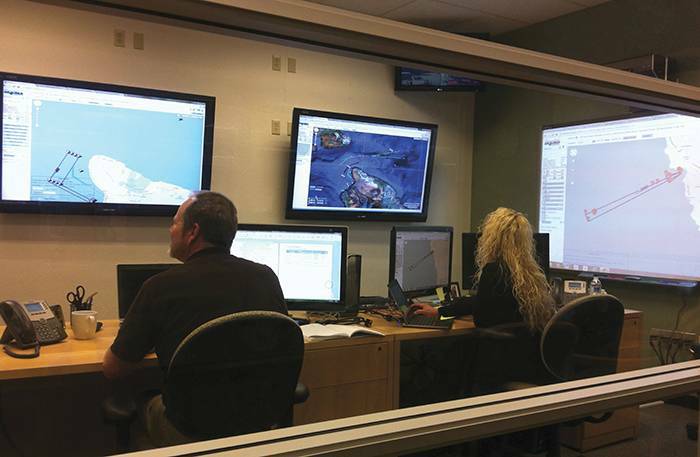 They offer new abilities to map and explore for resources, to protect and secure marine assets, or to conduct groundbreaking scientific research. In mid 2012, Liquid Robotics, Inc. and Schlumberger announced the creation of Liquid Robotics Oil & Gas, a joint venture to develop services for the oil and gas industry using Wave Gliders. The joint venture combines Liquid Robotics Wave Glider technology with Schlumberger O&G expertise and industry knowledge to integrate and deploy new solutions worldwide. Recently, I was able to examine a Wave Glider SV2 during the OTC Brasil 2013 at the Schlumberger stand. The vehicle is remarkable for its small size and reasonably light weight, while at the same time being capable of carrying a significant sensor payload. I was immediately amped by the possibilities it offers for unexpensive research and monitoring along the Brazilian coast and further offshore along the Atlantic ridge. I dare say that they are ideal for a country with a 7,500 km coastline such as Brazil and could be a major asset for Brazil's environmental agency (Ibama) to monitor coastal areas and O&G provinces. “We are continually interested in developing innovative technologies of value to the oil and gas industry,” commented Ashok Belani, chief technology officer, Schlumberger. “We are extremely excited about the new capabilities the unique Wave Glider platform will bring to offshore exploration and production—particularly in the areas of seismic, subsea and environmental monitoring.” (quotes from SLB website) Wave Gliders offer a game-changing capability to operate offshore for up to a year without requiring a crew, fuel or a dedicated support vessel during their mission. 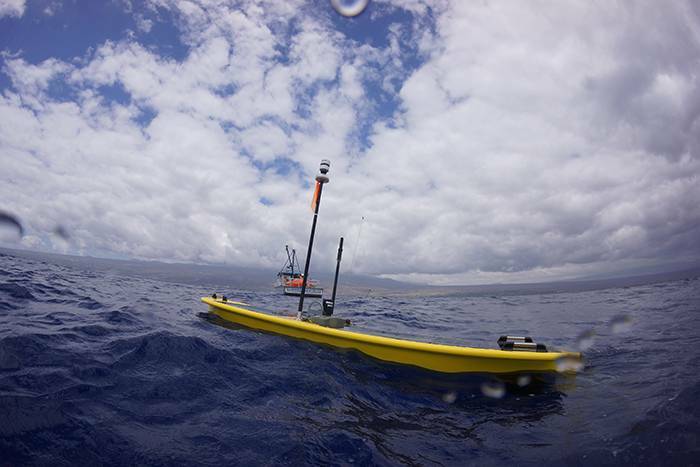 Fleets of Wave Gliders have crossed hundreds of thousands of miles of the earth’s oceans to help scientific, defense and industrial customers gain valuable insights into the marine environment. 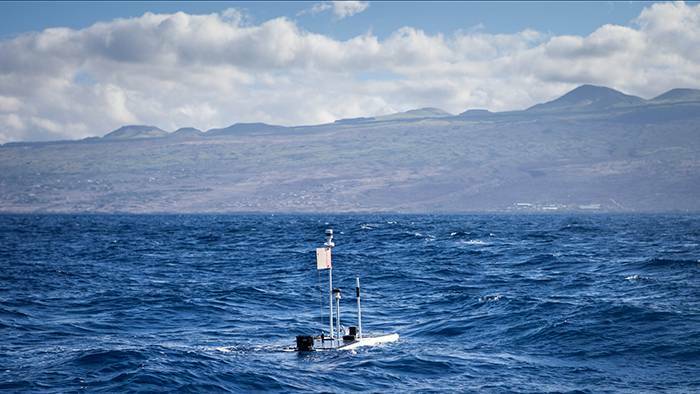 The Wave Glider SV3 is the world’s first hybrid wave and solar propelled unmanned ocean robot. The SV3 incorporates the latest advancements in energy harvesting technology and its innovative propulsion and energy systems allow it to explore portions of the world’s oceans in which it was previously too challenging or costly to operate. The Wave Glider SV3 also features technologies such as datacenter@sea (real-time onboard processing of large data sets), flexible power and storage system providing support for “power hungry” sensors, and an adaptable operating system designed for intelligent autonomy to enable coordinated fleet operations. Operating individually or in fleets, the Wave Glider SV3 enables 24/7/365, all-weather operations at a daily cost allegedly of up to 90 percent less than today’s data collection alternatives, while complementing and improving the efficiency of ships, buoys, satellites and aircraft. It isn’t hard to imagine a fleet of Wave Glider SV2 & SV3 being used by oil companies, government agencies and academia along Brazil’s huge coast, to monitor everything from oil spills to whales, current patterns and offshore reefs. Locations where intense O&G exploration is being done could greatly profit from the use of its sensor systems to cover large areas at modest costs. 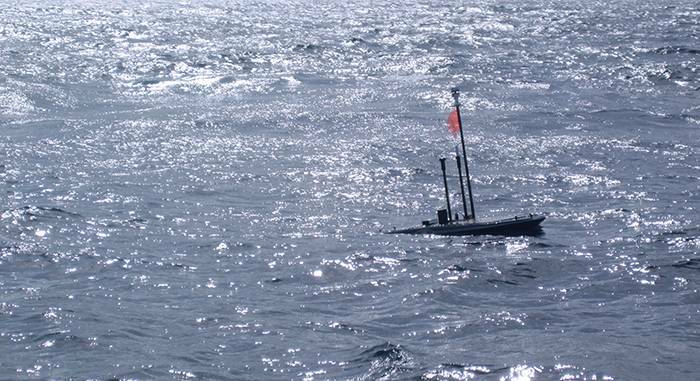 Places like The GoM, West Africa, East Africa, Western Australia, Brazil, the North Sea and the Arctic would undoubtedly be good locations for widespread use of the Wave Glider. The Equatorial Margin of Brazil, for example, is a location lacking primary offshore environmental data and offers challenging current and tide conditions, where the use of the Wave Glider could possibly reduce operational costs by having 1 OSV controlling a smalls fleets of Wave Gliders, combined with AUVs to gather necessary data for environmental licensing of exploration blocks and further allow a continuous low cost solution to monitoring of field development stages, which may be something for Petrobras and other operators with stakes in Brazil's equatorial margin to reflect on.